If you enjoy Corporate Skull, then here is something you might be interested in. Hairy Steve, a brutal new comic written by me, and drawn by the superb Steve Bright. We have set up a fundraiser campaign to get this comic off the ground – contributors get awesome free stuff in return, but even just support (word of mouth, blogs, RTs) are absolutely INVALUABLE so we really appreciate anything you can do. Not only that, but Hairy Steve will be starting up as its own webcomic in the very near future, so everyone’ll get to read it. 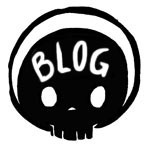 Corporate Skull (and most of my comics) are online for free, and I like that. Here we are looking at a different model where everyone still gets free content, but also PERKS, and the artist (Steve) gets paid too. SO EVERYONE WINS! Please do come and check out what we’re doing HERE (in fact there are elements here which really inspired Skull, but shhhh).